Not every Android app works well on the Amazon Fire TV, of course (since the Fire TV doesn't have a touchscreen, many Android apps are useless). But plenty do – and one such app is none other than our old pal Kodi. 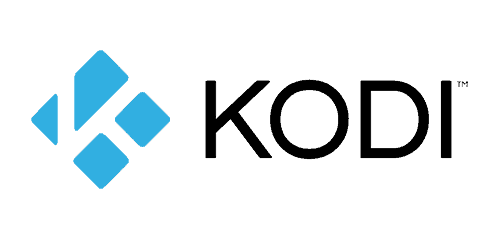 We're huge fans of Kodi, the media center application that started as a way to turn old Xboxes into media PCs and has since grown to become a multi-platform media solution. You may think that Fire OS already meets most of your media center needs, but there are still reasons to install Kodi on your Fire TV. And if you are interested in adding Kodi to your device, you've come to the right place – a little further down, we'll show you how. Kodi TV is a great media center, but doesn't Amazon Fire TV already organize your media for you? Well, sure, but many users may find that Kodi offers enough perks to make the extra layer worthwhile. Here are just a few of the reasons that we'd suggest installing Kodi on your Amazon Fire TV. Add-ons! Add-ons are, as the name suggests, extensions for Kodi. You can install add-ons that allow you to stream all kids of content, including live TV (be aware that not all of these add-ons are legal – install them at your own risk). If you can get the right add-ons, you can really expand the content available on your Fire TV. Organize and play local content. Your Amazon Fire TV can already play local content, but Kodi offers more versatile organization solutions and an interface that may be more familiar to some users. The Fire TV has a micro SD card slot and a USB port, so you can pop in a card or attach an external hard drive easily to add tons of local content. Customize your experience. One of the main reasons to love Kodi is its flexibility. You can customize Kodi to look almost any way you want – it's one of the reasons to choose Kodi over Plex. Kodi's “skins” let you alter your user experience in a way that just isn't possible in Fire TV's OS. Movies and music in one place. Kodi lets you play local music, too, and can serve as a sort of all-in-one app for Fire TV. Okay, so perhaps you agree that Kodi belongs on your Fire TV. The next question is: how do you get it there? It's not available in the Amazon app store, so you'll have to sideload it. We mentioned sideloading earlier in this piece: it's the process of adding Android apps to your Fire TV, using apps or the devices debugging mode to bypass the app store entirely. That's not as complicated as it sounds, though! Let us walk you through it step by step. There are a bunch of ways to sideload apps on your Fire TV. Fortunately for us, it's easy to install Kodi using the simplest of these methods – one that doesn't require any other devices besides the Fire TV itself. Here's how it works: we're going to use a free file browser to make a bookmark. 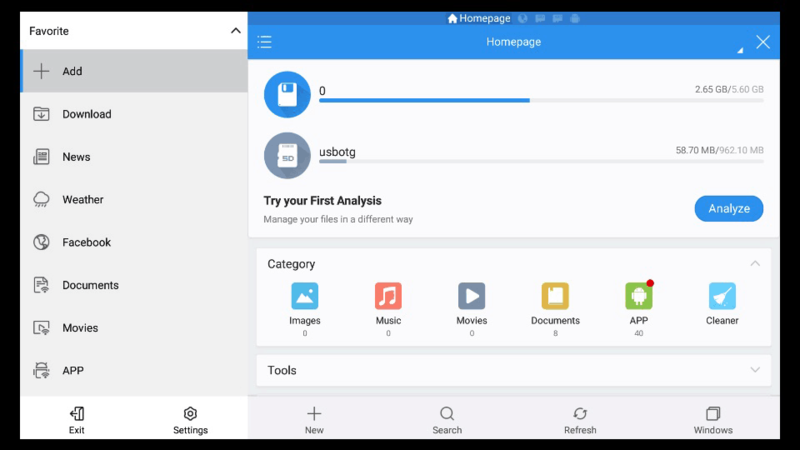 That bookmark will lead us to Kodi's website, where we can download the Android app file (called an APK file, because Android apps use the file type .apk). Then we'll just open the APK file and install it. Just follow the in-depth steps below to get the job done! We're going to download an app that isn't coming from Amazon's app store. In order for the Fire TV to let us do that, we need to change a setting. You'll find the “Apps from Unknown Sources” option in Settings>System>Developer Options. 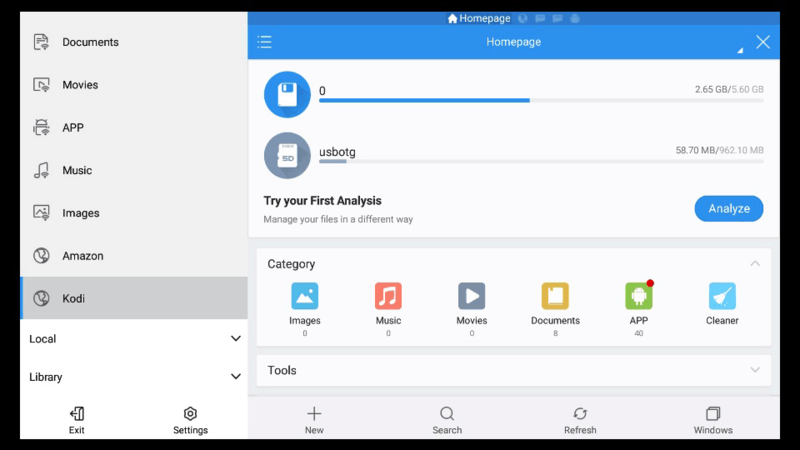 Step 2: Download ES File Explorer (If You Don't Have It Yet). Then Open the App! 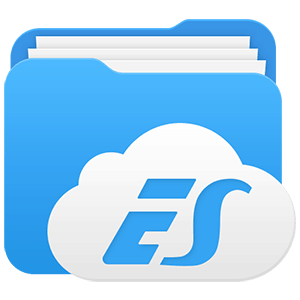 ES File Explorer is in the app store, so this part is easy. This is the program that we'll use to access Kodi's website, download the APK file, and open it. What we've done here is create a shortcut to Kodi's download page. Back in the menu under favorites, you'll now find a shortcut with the name you selected. Scroll down and you should see it! Select it. 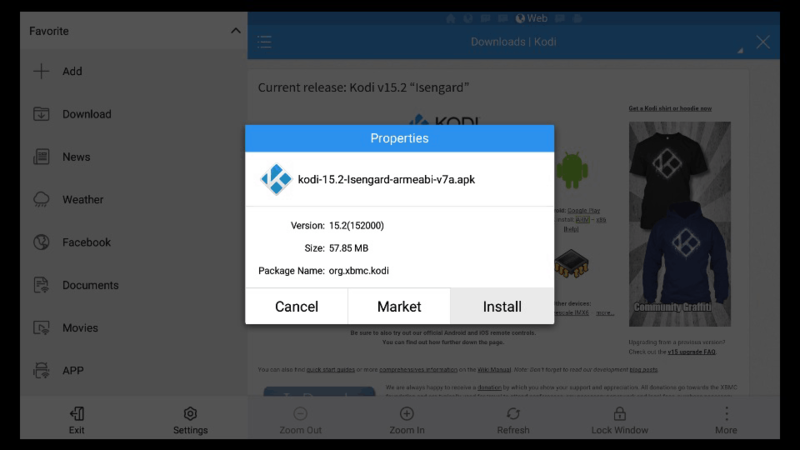 Android apps are files, of course, so we're just downloading the file for Kodi. It's a .apk file (all Android apps are), and we want the ARM version (ARM and x86 refer to processors, and Fire TV has an ARM processor inside it). The link is under the little green Android icon on the webpage. This is easy – when you're done downloading, you'll be prompted to open the file. Just select “Open” and meet us in the next step. Again, this is easy! Once you hit “Open,” you'll get another pop-up box with the option to install. Hit “Install,” and then confirm your selection on the next page. That's it! The installation will begin. When it's complete, just hit the home button and navigate to your apps on Fire TV. You'll see Kodi there waiting for you. This isn't the only method for getting Kodi up and running on your Fire TV. It's just one of many ways to sideload Android apps to your Fire TV. Sideloading, as we mentioned above, means adding Android apps to your Fire TV – apps that were originally meant to run on Android tablets and phones, but that work quite well on Fire TV's OS due to it's Android base. 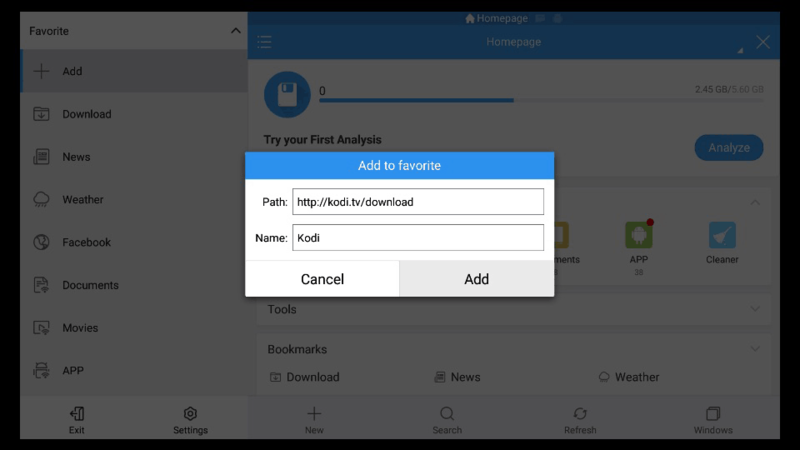 The reason we used this method to sideload Kodi is that accessing Kodi's download link is easy, so there's not any particular reason to use methods that require PCs, Macs, Android tablets, USB drives, or other devices. But if you're interested in adding other Android apps to your Fire TV besides Kodi (or if you just want to try out a new method for sideloading), check out our full article on how to sideload Fire TV apps. All of the other methods listed in our sideloading article will also work with Kodi! What about when Kodi is updated? Do you have to sidelaod again? Thank you for this great step by step. One issue, when I clicked on to install the file it tried to install but then said app not installed. Any idea how to slice it?